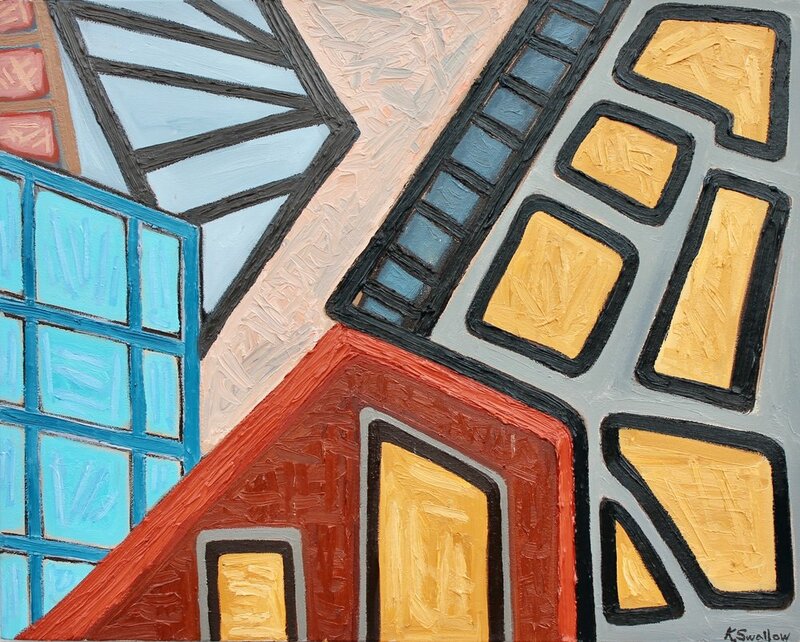 Since January, I have been exploring abstraction with cityscapes. I’ve done a lot of sketching with charcoal and taking lots of reference photos to use. It’s been fun getting looser with the shapes and not being so concerned about things looking like actual architecture. 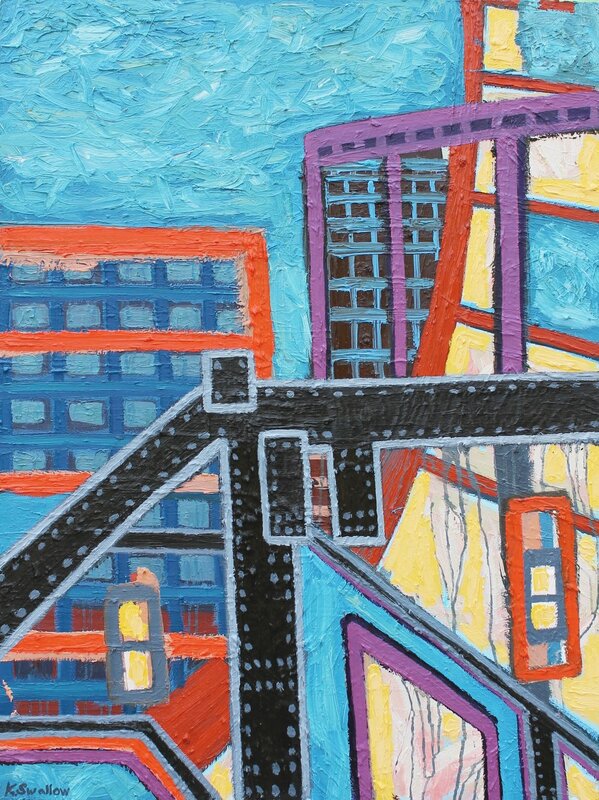 Looking forward to making more of these abstract cityscapes. Click on the images below to enlarge fullscreen. 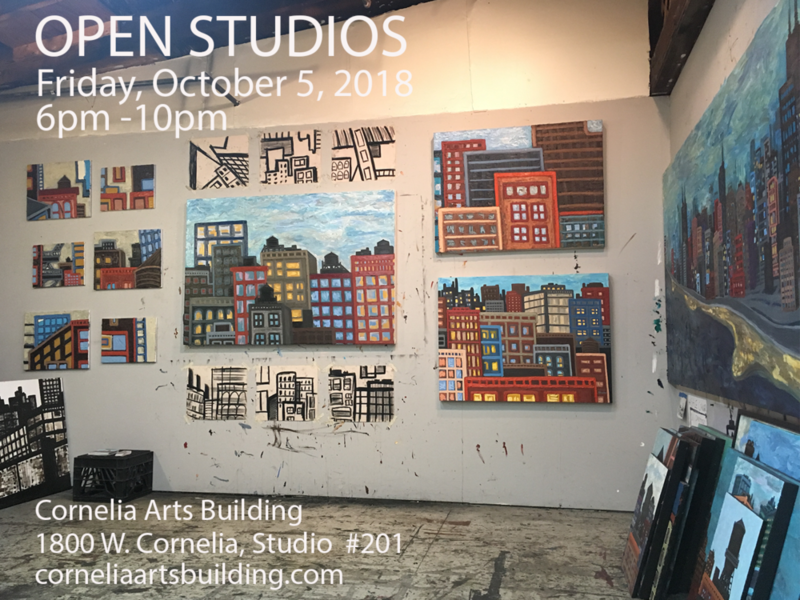 On Friday, October 5, 2018, we’re having Open Studios at the Cornelia Arts Building - kicking off the fall art season. 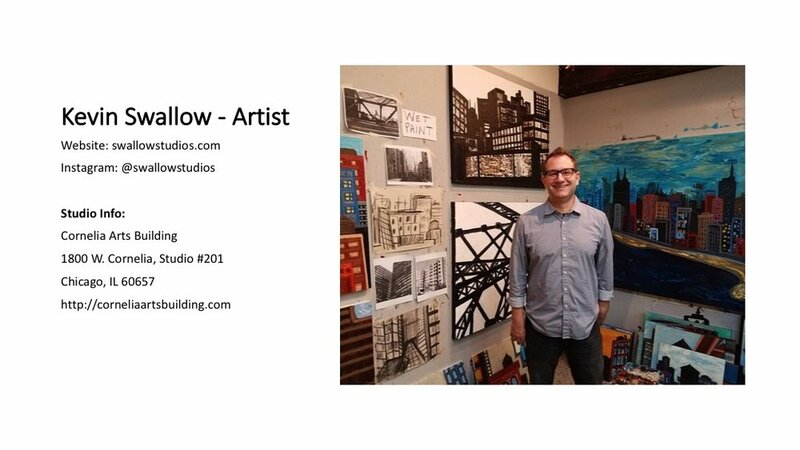 I’ll be showing some new cityscape paintings and will also have a selection of pieces at discounted prices for a fall art sale. 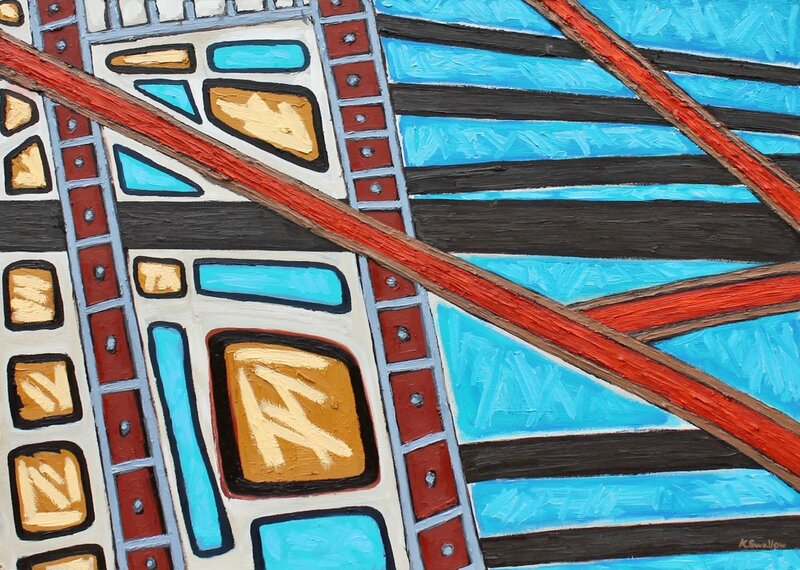 Stop by and enjoy an evening of art! 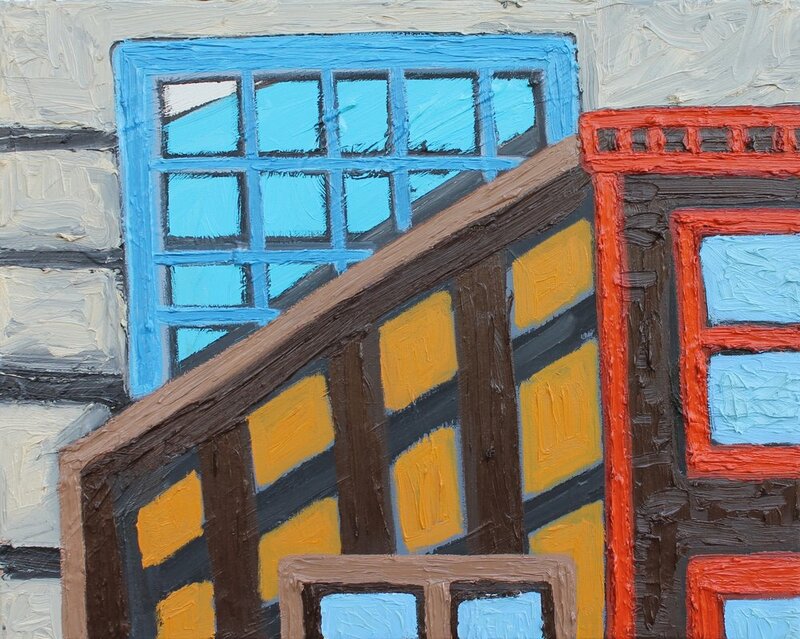 Art on two floors and guest artists in the hallways! 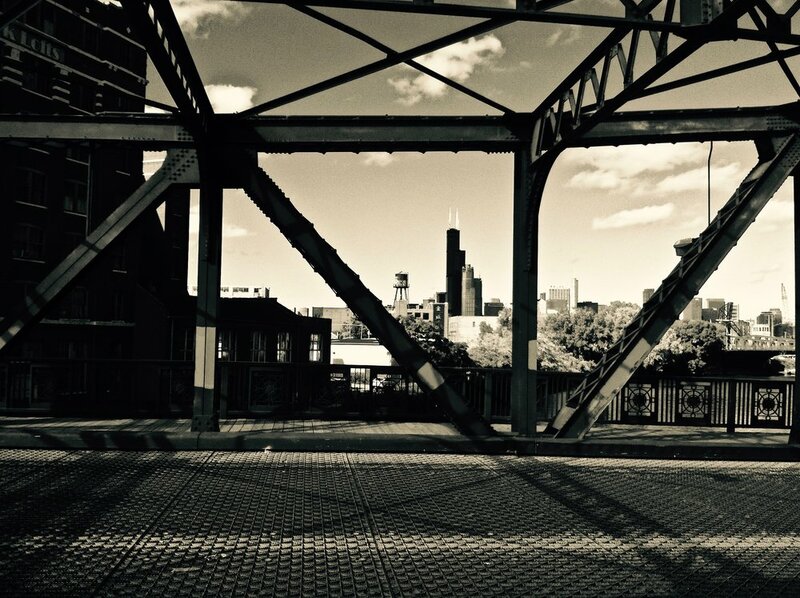 Close to public transportation & free parking! 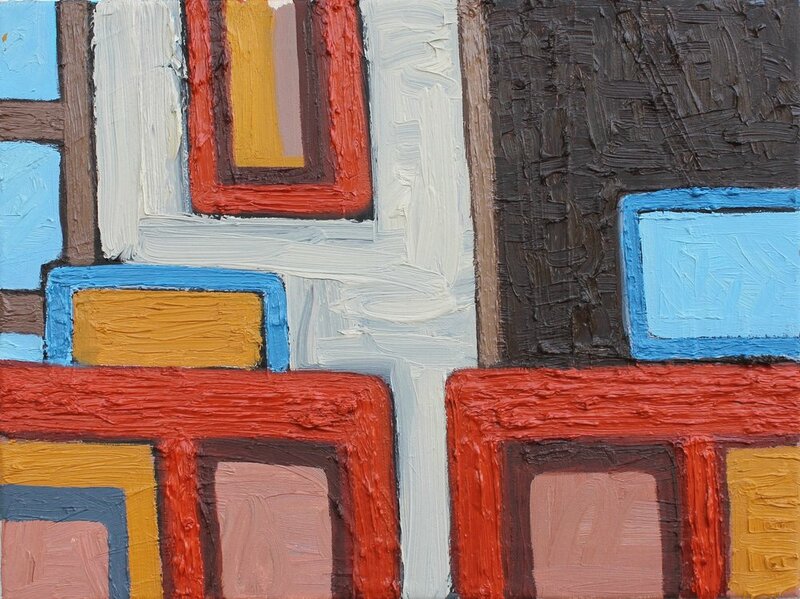 Check out a show preview on ArtSlant. All are welcome so invite your friends! 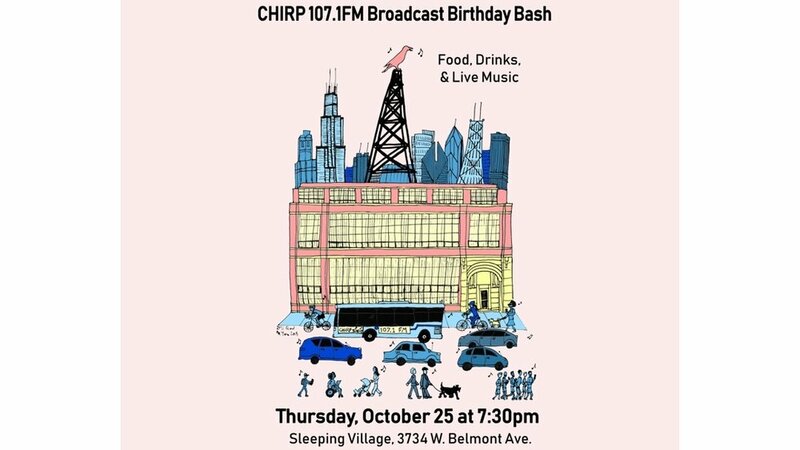 FREE and open to the public. 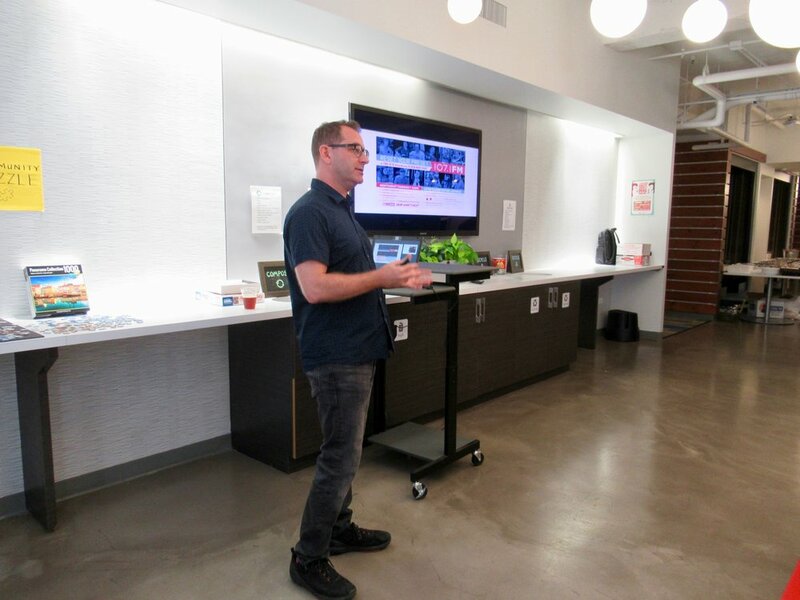 This past Friday, I was invited to give a presentation at my office about my art and volunteering at CHIRP Radio. 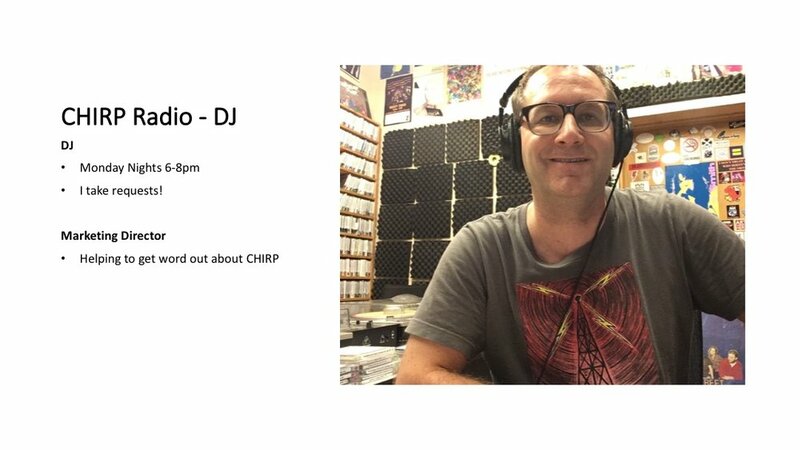 It was a really great experience for me to share these two passions and creative outlets - people were engaged and asked questions about my art and CHIRP. 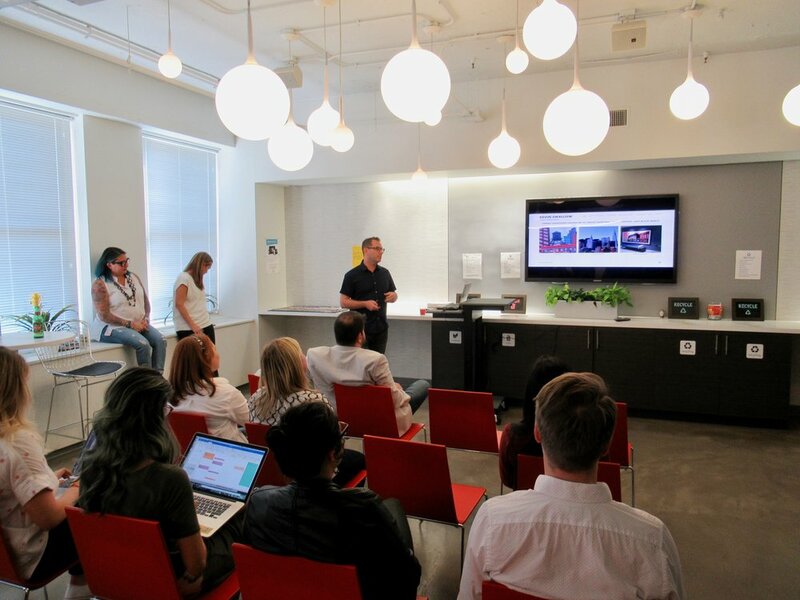 The presentation was part of a bi-weekly office update and which always includes someone sharing something interesting they do outside of work. 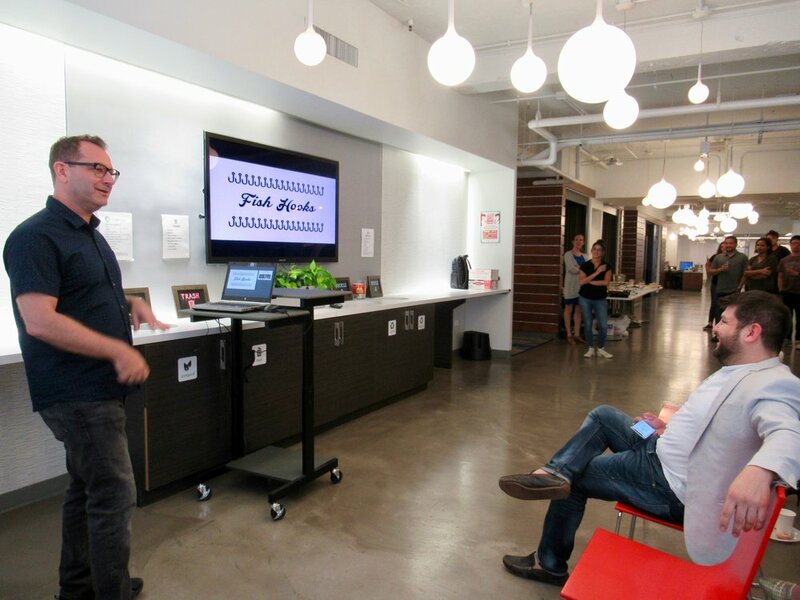 Here are some photos from the presentation along with a few slides I used. Click on the images to view larger. 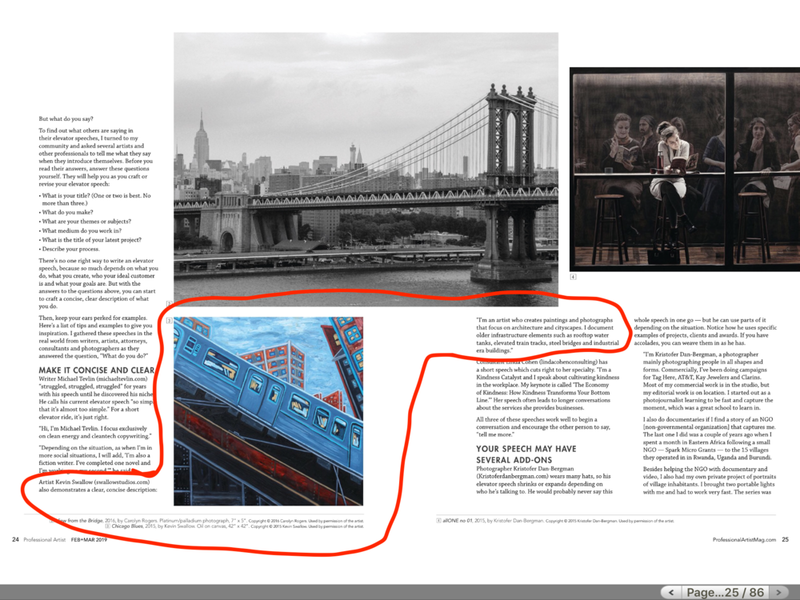 I spoke about my art career, my studio, and how urban landscapes and architecture are my inspiration for creating paintings and photographs of cityscapes. 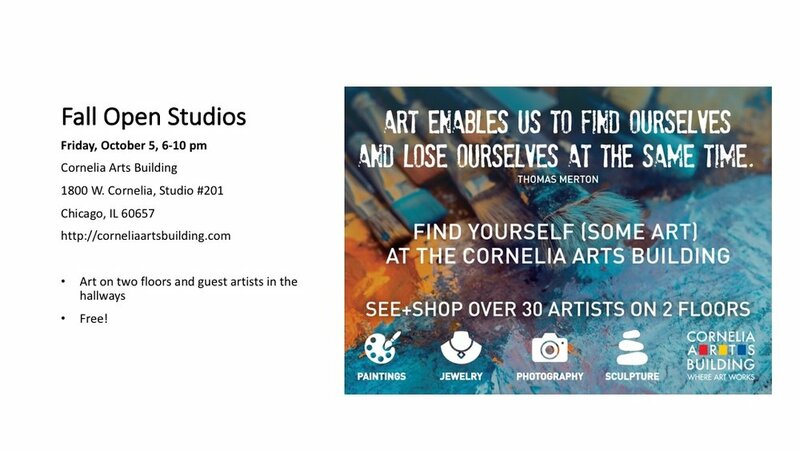 I also let everyone know about the upcoming Cornelia Arts Building Fall Open Studios. Click on the images to view larger. 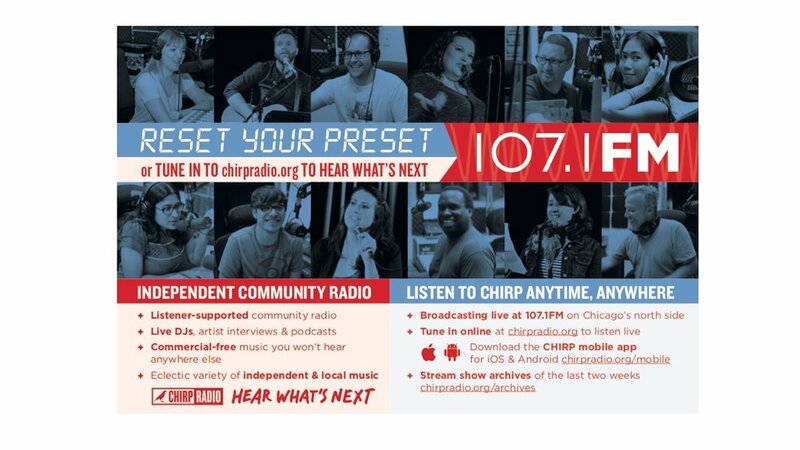 I gave an overview of CHIRPRadio.org - 1071.FM and my work as a volunteer, DJ, and marketing director for this Chicago-based independent community radio station. 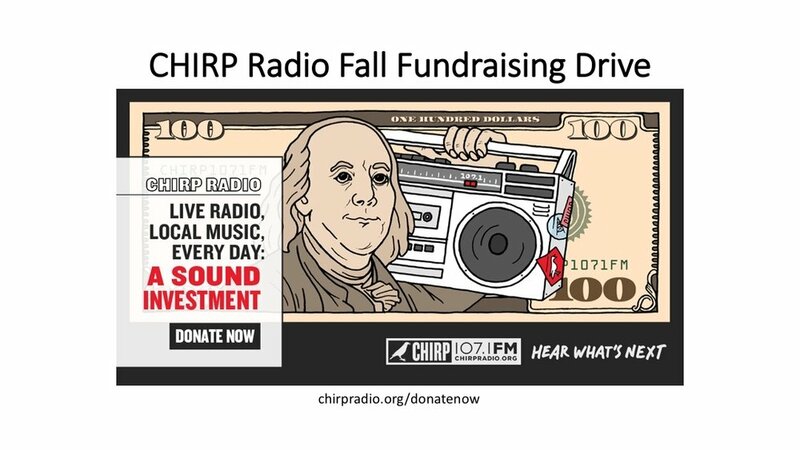 I also mentioned our current fall fundraising drive and upcoming one-year broadcast birthday bash. Click on the images to view larger. This Chicago Sun-Times video features Roscoe Village, the eclectic neighborhood where my studio at the Cornelia Arts Building is located. CAB (and my art) is featured at the 7:48 mark in the video where you can also get a glimpse of our open studios night! 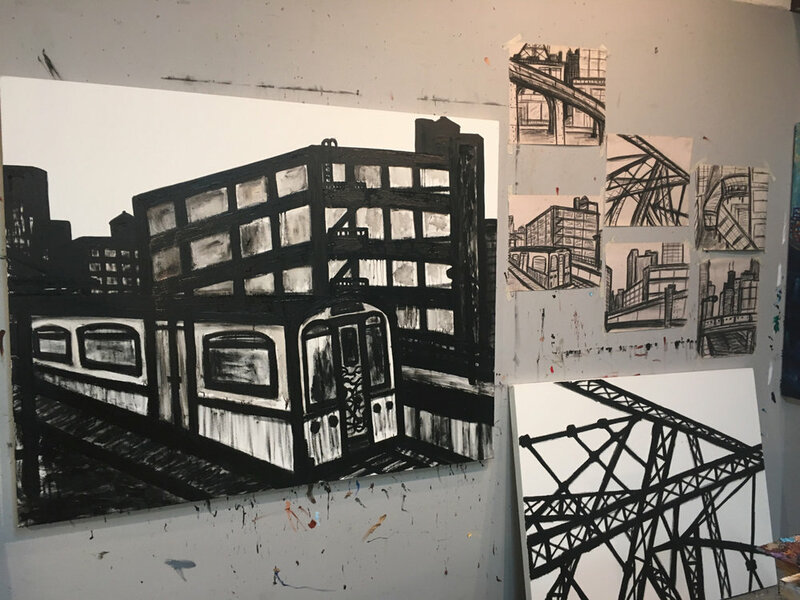 We had our May Open Studios at the Cornelia Arts Building this past Friday and I decided to print some photos on canvas to both show something new and demonstrate how my photos are the foundation for my paintings. These shots are from 2013 and 2016 and have never been shown. It's been a while since I put up a blog post and a while since I finished some paintings. 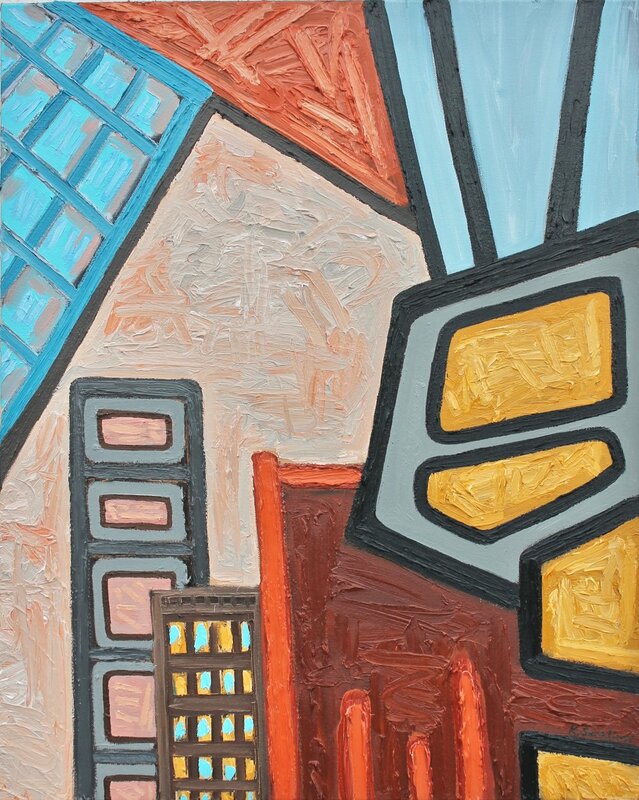 Last week I finished "A Little Uneven" and today I finished up "Claustrophobia". 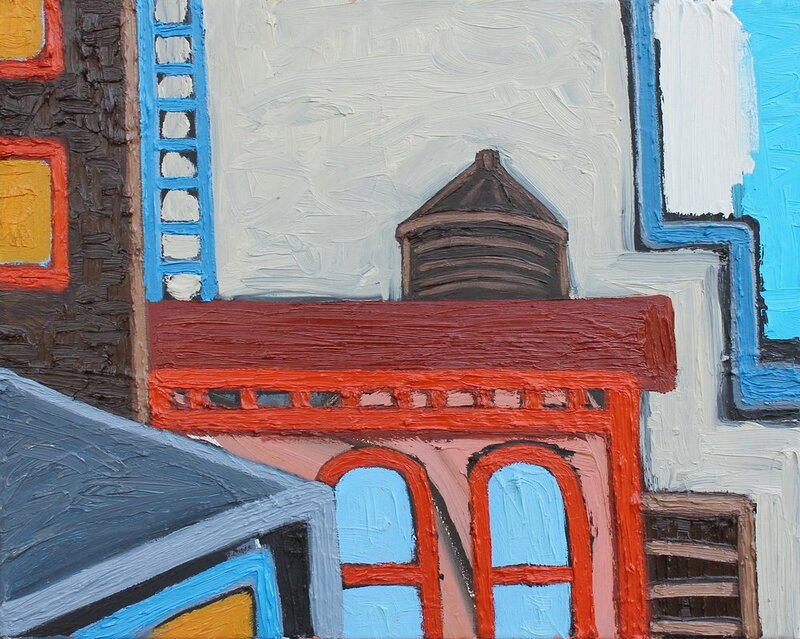 Both are imaginary cityscapes where I'm trying to pull in more abstract elements and really flatten out the perspective to focus on color, shape, and texture. For the past couple of months, I've been working on a new series of black and white paintings. They are based on Instagram photos I shoot on walks during my lunch break. Back in the studio, I create charcoal sketches from the photos and then use those sketches to make the paintings using oil pigment sticks. Many times, I will shoot the photograph, do the sketch, and create the painting in the same day. 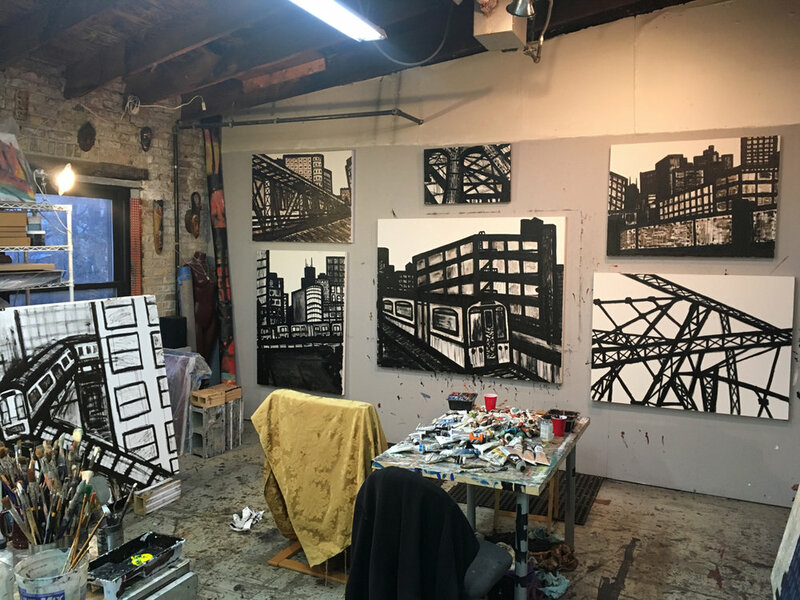 My day job at a digital agency is now located at The Merchandise Mart, so this series of cityscape paintings is really just me exploring this new work neighborhood along the Chicago River. 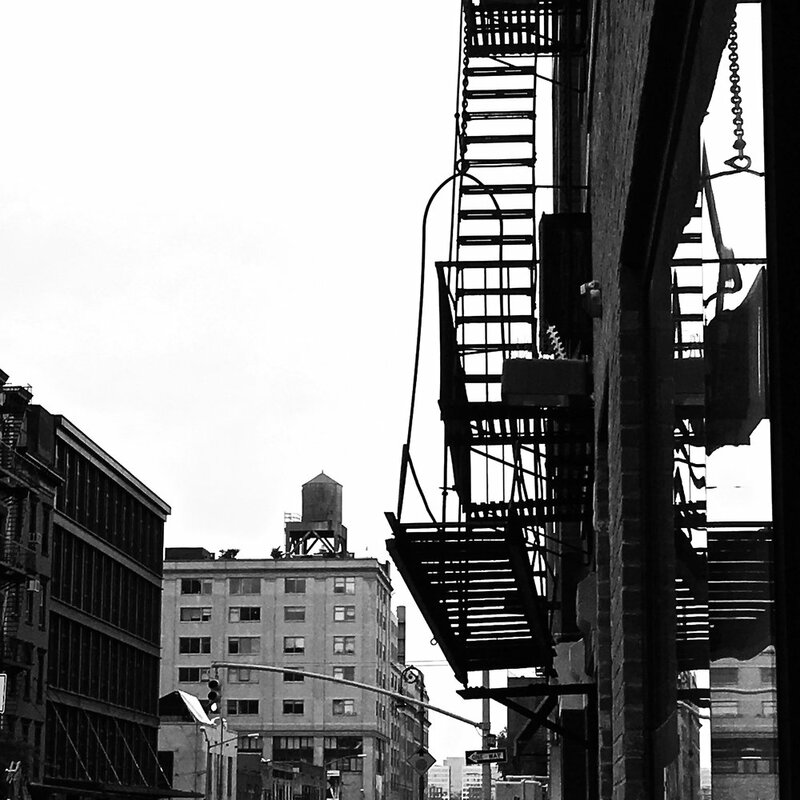 I'm still focusing on the older architectural elements, the steel bridges, and L trains, along with their surrounding modern architecture. Lately, I feel like I'm drawn to the various abstract shapes in the compositions and this method allows me to create quickly in a looser way since I'm using the pigment sticks as a drawing tool.